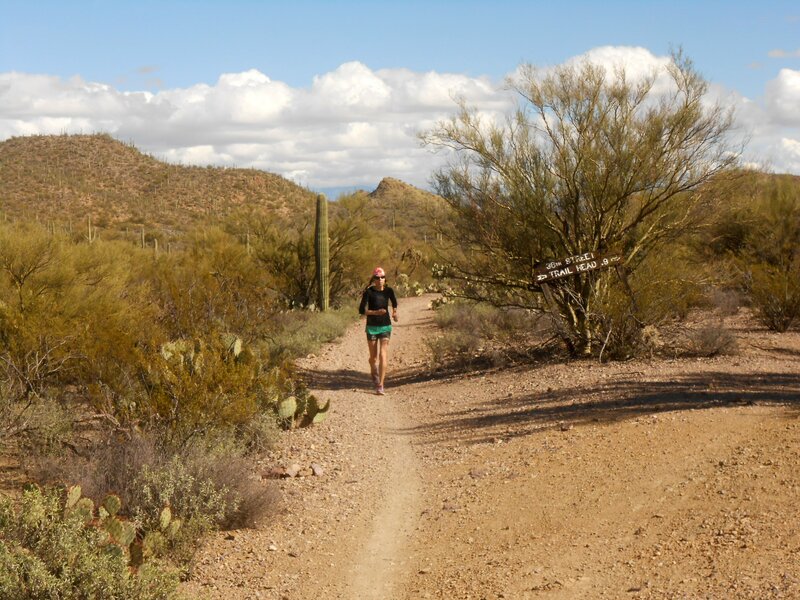 So I’ll shut up, get with it and share some of my favorite memories of our glorious months in Tucson, where I ran close to 600 miles, swam I don’t know how many laps, biked countless miles and read thousands of pages of book (while lazing in the yard, one of my favorite things to do). It was a productive and fun-packed three months, and if we had had Seriously with us, the dog we co-own, it would have been absolutely and totally perfect. 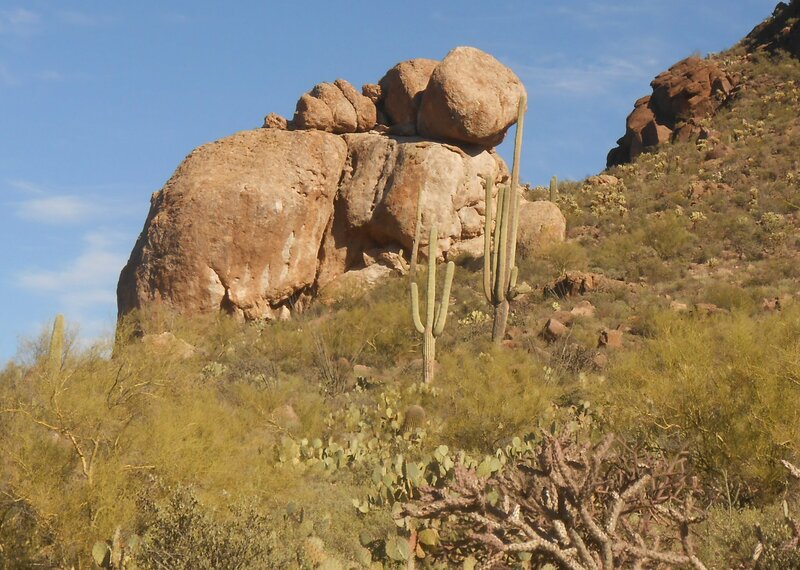 Cool rock formation on the Hugh Norris Trail. Doesn’t’ it look like a Teenage Mutant Turtle? 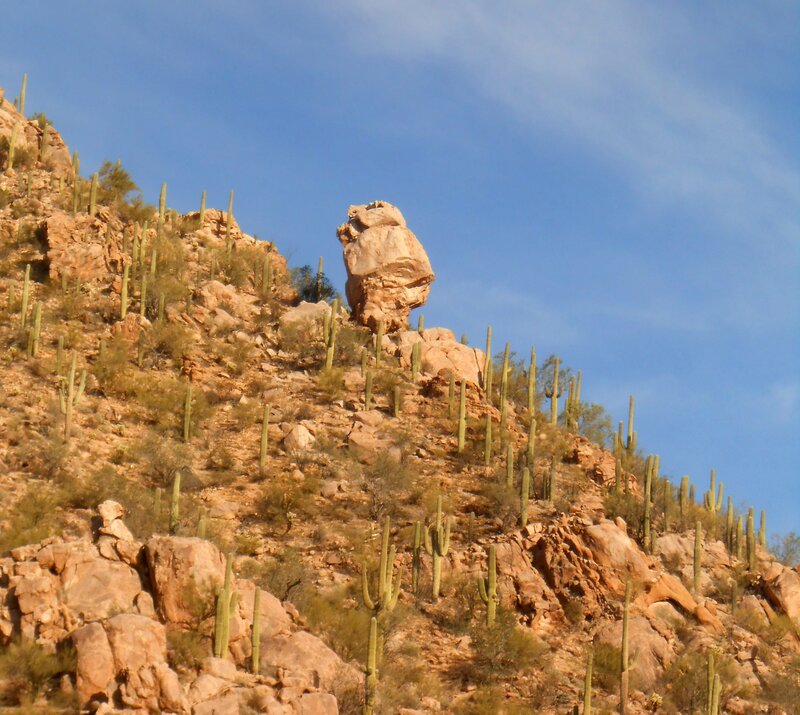 Another cool rock formation, this one on the Yetman Trail in Tucson Mountain Park. 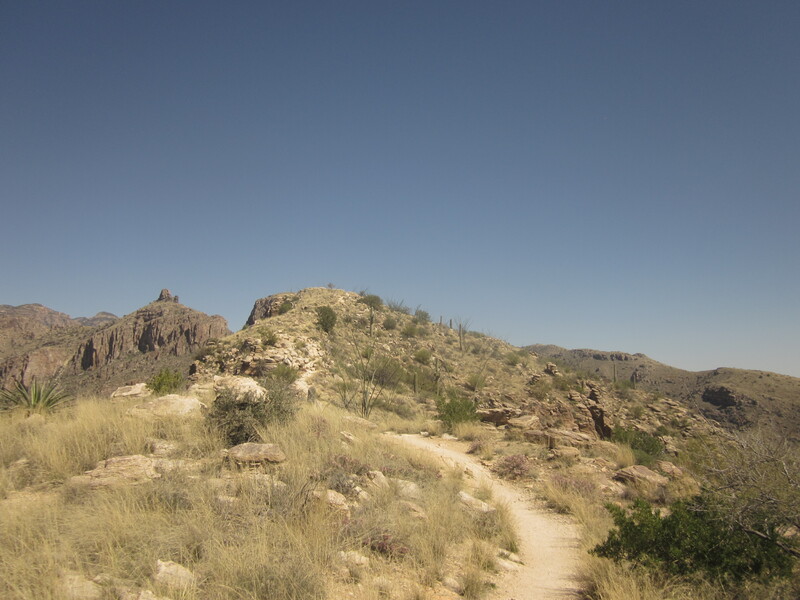 The top of Blackett’s Ridge on a 90 degree day. You can’t tell from this pic but I was sweating like crazy. 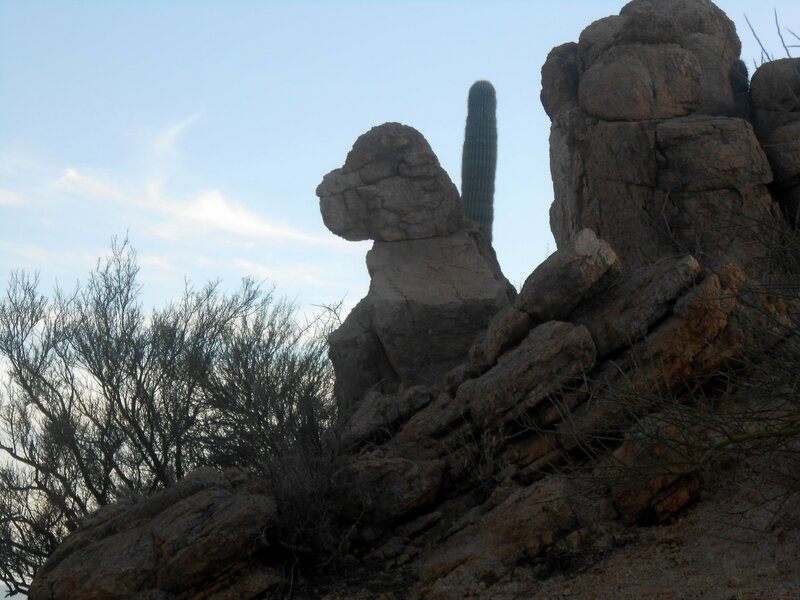 And yet another cool rock formation–doesn’t this one look like a Snoopy dog? 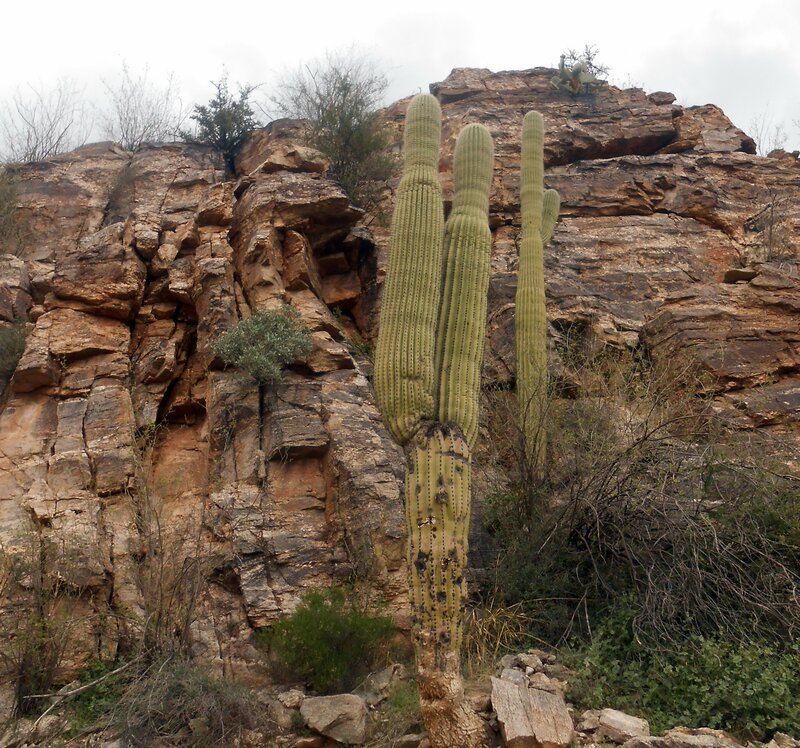 This was somewhere in Saguaro National Park West. 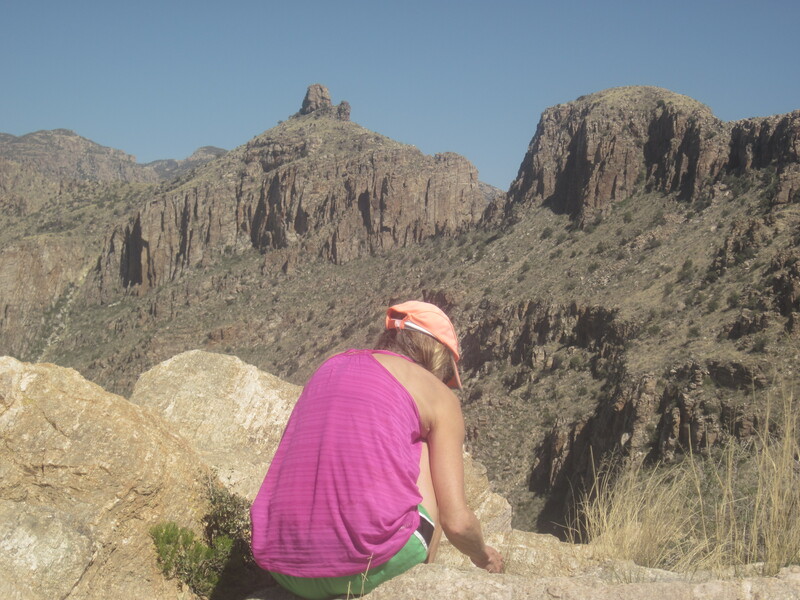 Running the Tucson Mountain trails, where we got caught after dark and heard, and then saw, a rattlesnake right in the middle of the trail. 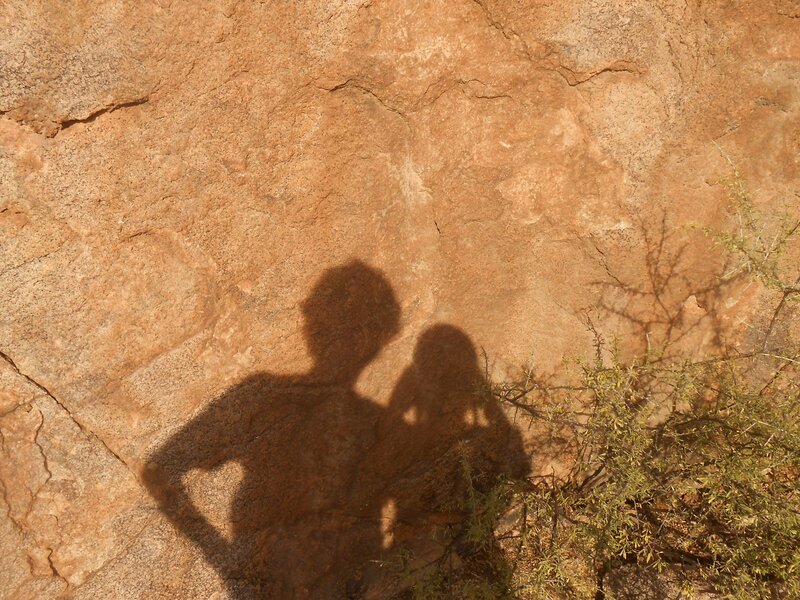 Me and my baby, pausing for a shadow selfie somewhere in Sabino Canyon. Blackett’s Ridge, near the top where the damned elevation finally settles down. 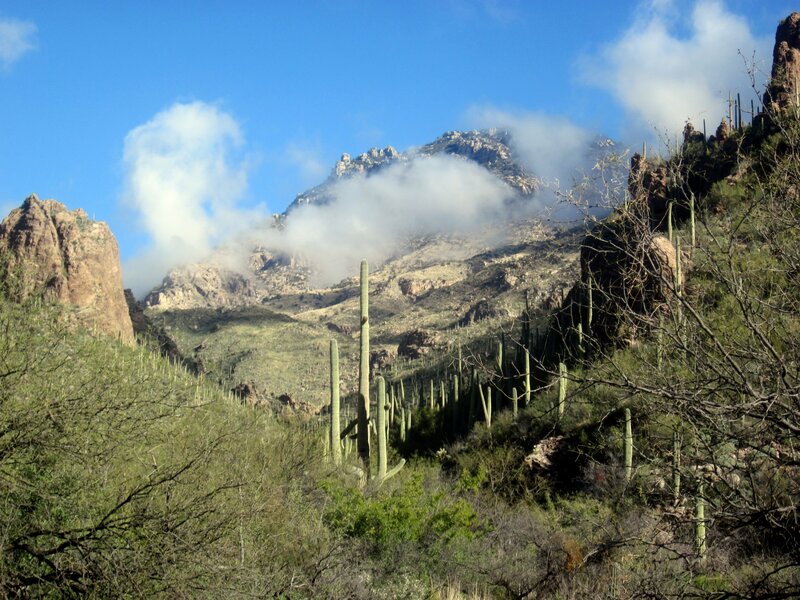 Early morning run in Tucson Mountain Park. 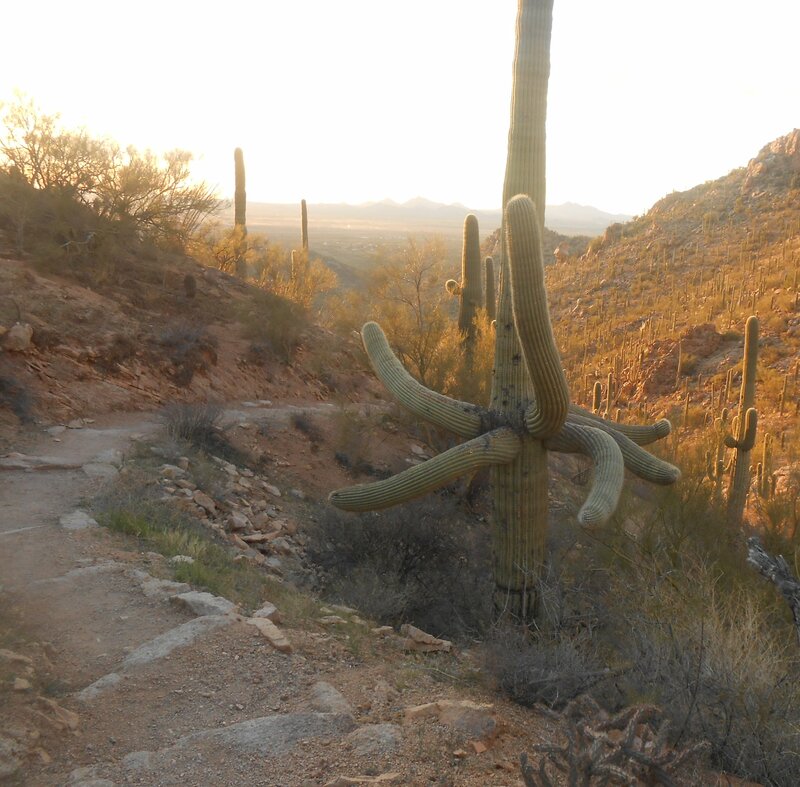 Love this cactus on the Hugh Norris Trail. 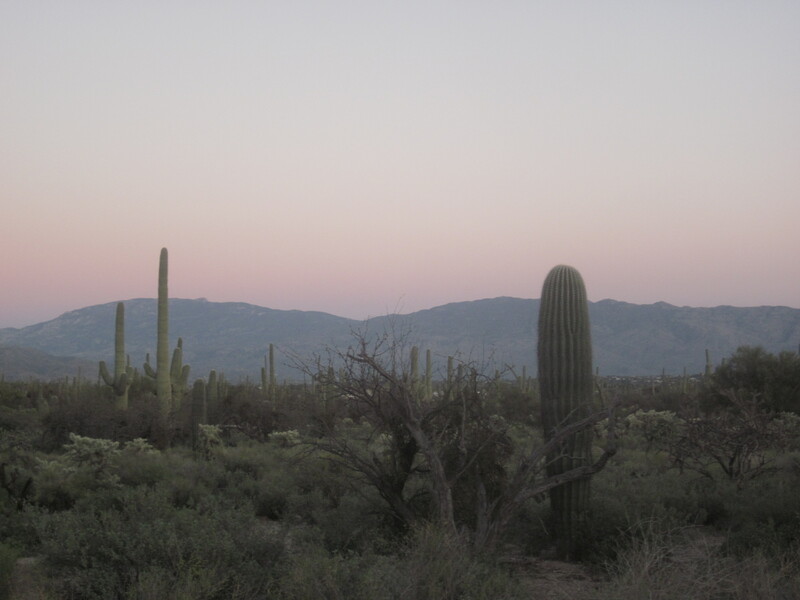 Sunset, not sure where, maybe Sabino. 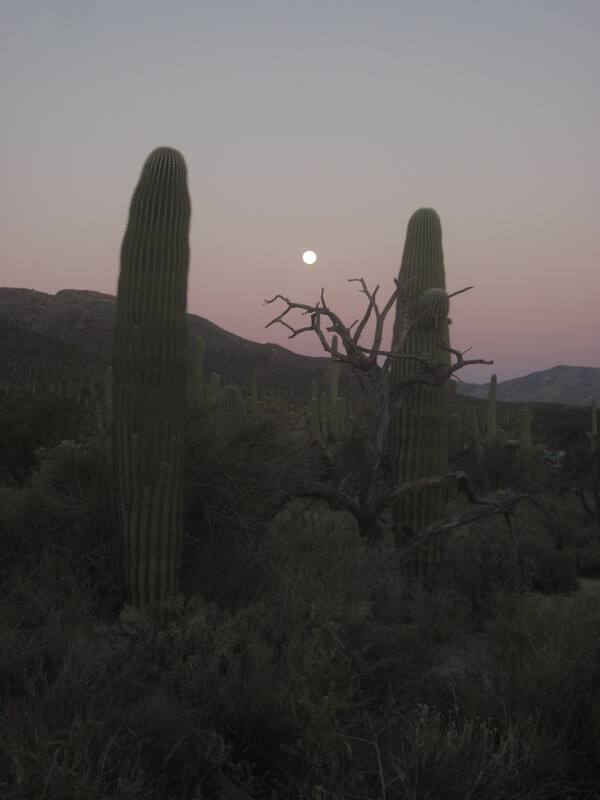 Full moon rising up over the desert.